At Prime Stables, we know how expensive owning a horse can be. From food and bedding to stabling and grooming products, horse care is pricey and it can often be difficult to provide all the necessities for your horse at a reasonable cost. However, at Prime Stables, we are passionate about helping people care for their horses cost-effectively and one of the ways we do this is by providing cheap horse stables. Prime Stables have quickly become one of the most highly regarded providers of quality horse stables at an affordable price. Our designs and insights into equestrian buildings are second to none, which is why we are one of the leading cheap horse stable providers in the UK. If you are looking for cheap horse stables that are also high quality, environmentally friendly and durable, look no further than Prime Stables. We can provide for all your horse stable needs. Horse stables are an absolute necessity if you own a horse. It is important your horse has a comfortable, safe and secure environment in which he can be sheltered and rest from the weather. At Prime Stables, we ensure all our stables are custom designed, built to an extremely high-quality standard and are long-lasting. All our stables are manufactured to order and you can, therefore, alert us to any alterations you require to our standard ranges and we will do our best to accommodate these. Using quality timber products from sustainably sourced forests, our stables are not only aesthetically pleasing, manufactured and installed to the highest standards, they are also environmentally friendly. Do you need a cheap stable and fast? There is no need to panic, Prime Stables have cheap mobile horse stables that can be delivered and installed within 5-10 working days. If you need a stable quickly, our cheap mobile stables are the solution for you. Built with quality materials and durable timber, our mobile stables can be installed onto your property quickly and cost-efficiently. Not only that, but because our mobile stables are manufactured to order, we can manufacture them to suit your specific requirements. At Prime Stables, customer satisfaction is our top priority and we are passionate about providing horse stables for you that are both affordable long-lasting. At Prime Stables, we have a wide range of cheap horse stables available to our customers looking to purchase. However, people often assume that cheap means low-quality. Not with Prime Stables. Every product we sell is built to an exceptional standard and is made to last. We never sell anything that isn’t top quality. At Prime Stables, we pride ourselves on the quality of our products. All of our horse stables are made with high-grade quality timber that is environmentally sourced. The reason we use the best materials is to ensure our horse stables are strong and durable. Our stables stand the test of time. Don’t believe us? Why not read some of our testimonials? We think they speak for themselves when it comes to the quality of our products. The skill and craftsmanship that goes into completing your horse stable is incredible. At Prime Stables, we design all our horse stables ourselves, using the finest materials possible. We pride ourselves in having a team of highly trained craftsmen who love what they do and do it well. Our craftsmen will meticulously build your horse stables and, once complete, they will then hand their finished pieces over to the installation team who will assemble the stable. Quality craftsmanship is used throughout every step of the prime stable design, build and installation process. In addition to providing our customers with quality and affordable horse stables, we also provide stable extras. These include anything from different windows or roof finishes to a whole host of other items. If you would like to browse our selection of stale extras, why not browse our page? At Prime Stables, we deliver and install horse stables throughout the UK, using the best timber, roofing, flooring and fittings to ensure your horse stables are extremely high quality. When it comes to quality, we never scrimp. To us, it’s all about providing our customers with affordable horse stables that meet all their requirements. 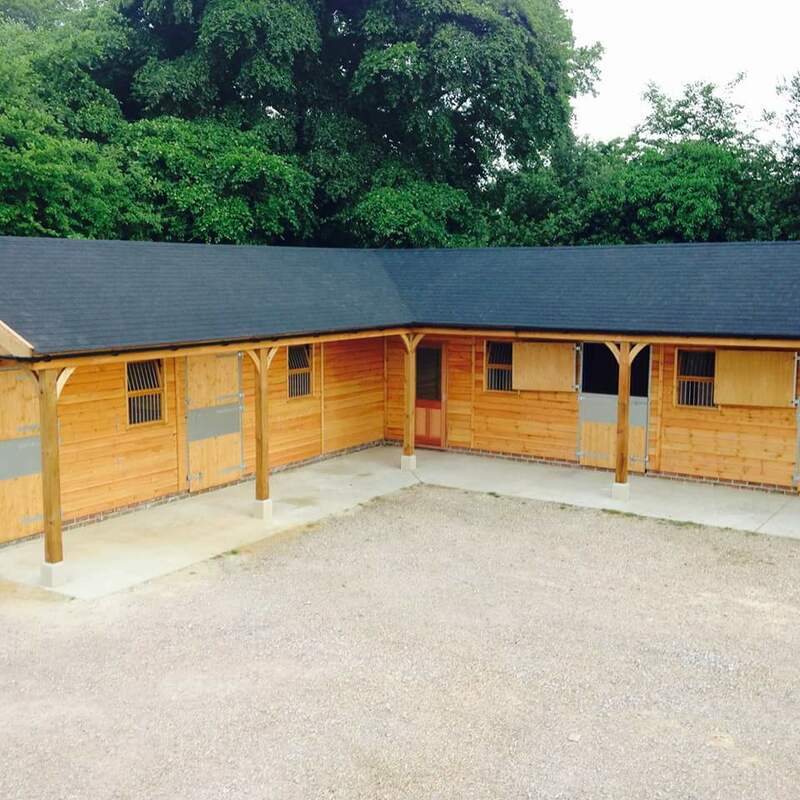 So, if you would like to enquire about our affordable horse stables, why not give us a call today? We would be happy to talk through your requirements with you.